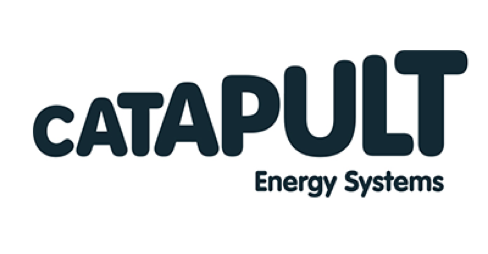 The Energy Systems Catapult supports innovators in unleashing opportunities from the transition to a clean, intelligent energy system. They form part of a network of world-leading centres set up by the government to transform the UK’s capability for innovation in specific sectors and help drive future economic growth. By taking an independent, whole energy systems view, they work with stakeholders across the energy sector (consumers, industry, academia and government) to identify innovation priorities, gaps in the market and overcome barriers to accelerating the decarbonisation of the energy system at least cost. In doing so, they seek to open up routes to market for innovators, as well as supporting them to understand how their products, services and value propositions fit into the transforming energy system. Anglian Water is the largest water supply and water recycling utility in England and Wales by geographic area. It covers over 10,000 square miles from Humber to the Thames estuary and from Buckinghamshire to Lowestoft, servicing approximately 6 million customers. Its mission is to deliver continuous and sustainable services that include providing safe, clean water, keeping water bills affordable and ensuring that the long-term environmental needs of the region are met. Scottish and Southern Electricity Networks forms part of the FTSE-50 energy company, SSE. They are responsible for maintaining the electricity networks supplying over 3.7 million homes and businesses across central southern England and north of the Central Belt of Scotland. They own one electricity transmission network and two electricity distribution networks, comprising 106,000 substations and 130,000 km of overhead lines and underground cables across one third of the UK. Their first priority is to provide a safe and reliable supply of electricity to the communities they serve in Scotland and England. 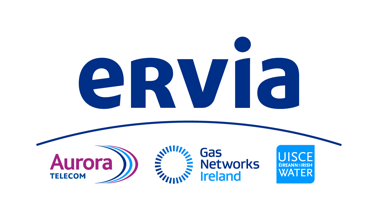 Ervia is the commercial semi-state multi-utility company responsible for the delivery of Ireland’s national gas and water infrastructure and services. Through their regulated business, Gas Networks Ireland, they build and operate one of the most modern and safe gas networks in the world. They are responsible for the operation and maintenance of Ireland’s water and wastewater assets through their other regulated business Irish Water. In addition, they also provide dark fibre broadband infrastructure through their business Aurora Telecom. Northern Gas Networks (NGN), is a gas distribution network for the North of England responsible for distributing gas to 2.7 million homes and businesses in the North East, Northern Cumbria and much of Yorkshire through an extensive network of underground pipes. They are committed to meeting their customers’ energy needs today while innovating to meet the challenges of tomorrow. Cadent Gas owns, operates and maintains the largest gas distribution network in the UK, transporting gas to 11 million homes and businesses across West Midlands, North West England, East of England and North London, providing people with the energy they need to stay safe and warm, and protecting them in an emergency. They are responsible for: managing the national gas emergency service free phone line on behalf of the gas industry, looking after the pipes that transport gas to homes and businesses, fixing leaks, ensuring everything is running as it should and connecting new homes to the network. SP Energy Networks (SPEN) is a distribution and transmission network operator. They transmit, distribute and connect electricity to and from 3.5 million homes and businesses throughout Central and Southern Scotland, North Wales, Merseyside, Cheshire and North Shropshire. As a Distribution Network Operator (DNO) their role is to maintain, operate and invest in their distribution network to secure a safe, reliable and economic service and the safety and security of electricity supply is paramount to their operations. Northern Powergrid is the Distribution Network Operator responsible for delivering electricity safely across northeast England, Yorkshire and northern Lincolnshire. They transport electricity on behalf of suppliers from the national grid transmission system and deliver it to 7.6 million people in 3.8 million businesses and homes and are dedicated to delivering a safe and reliable electricity supply to all their customers, 24 hours a day, every day. Yorkshire Water is a water supply and treatment utility company who provide essential water and waste water services to the people and businesses of the Yorkshire and Humberside region, playing a key role in the region’s health, wellbeing and prosperity. Its vision is to take responsibility for the water environment for good and is committed to acting responsibly, delivering high standards and meeting the needs of stakeholders today and tomorrow. UK Power Networks is a distribution network operator for electricity covering South East England, the East of England and London. Not only do they distribute electricity to approximately 8 million customers using more than 180,000km of underground cables and overhead lines and over 100,000 substations, they ensure the infrastructure that brings power to homes, businesses, hospitals, schools and other public services continues to deliver reliable, safe and sustainable electricity for today and tomorrow. Wales & West Utilities operates the gas distribution networks across Wales and South West England. They own and maintain more than 35,000 kilometres of gas pipes and supply gas to around 2.5 million households and businesses, serving a population of 7.5 million people. They respond to gas emergencies and invest an £2m every week across their network, connecting new homes and businesses, and upgrading old metal gas pipes to new plastic ones, ensuring the communities they serve receive a safe and reliable gas supply for generations to come.